Native to Central America, avocados now grow in many warmer parts of the Americas, Australia, Africa and Asia. The fruit's unusual creamy texture and mild flavor make it useful in a wide variety of foods, including dips, spreads and salads. Rich in nutrients, yet low in calories, the avocado is also an ideal diet food. Avocado is a very low-calorie food. A 1 tablespoon, or approximately 14 grams, serving of pureed, average commercially available avocado contains just 23 calories, according to the UDSA Nutrient Data Laboratory. This includes both California and Florida varieties. When comparing whole fruits, however, the Florida variety has fewer calories by weight because it contains more water than the California variety. From 1 tablespoon of pureed avocado, you'll get 70 milligrams of potassium, 7 milligram of phosphorus, 12 micrograms of folate and 9 of beta carotene, 21 international units of vitamin A and 39 micrograms combined lutein and zeaxanthin. This small serving size also provides trace amounts of iron, zinc, vitamin C, choline, niacin, or vitamin B-3, and vitamin B-5. It contains 2 grams of total fats, most of which are heart-healthy monounsaturated and polyunsaturated fats. Avocados are among the richest sources of potassium, note experts from the University of Maryland. This mineral is important for healthy bones and muscles, including the heart. Avocado also contains the carotenoids beta-carotene, lutein and zeaxanthin. Because the retina of the eye contains lutein and zeaxanthin, these nutrients are critical for eye health. Diets rich in these two carotenoids may slow age-related macular degeneration and cataract development, according to the Linus Pauling Institute. The fats in avocado keep your cholesterol in check by lowering LDL, or bad, cholesterol while raising levels of HDL, or good, cholesterol.A single tablespoon of avocado isn't enough to meet daily recommended amounts of any nutrient, though. A tablespoon of avocado may not be enough to make a bowl of guacamole, but there are still ways you can incorporate this amount into your diet. Top crackers with avocado slices for a quick snack. Use mashed avocado in place of butter when you make a sandwich. Dice 1 tablespoon of firm avocado and add it to a salad. Blend softer avocado into a dip or salad dressing. Some individuals may be allergic to avocado. Those sensitive to latex are prone to this allergy because latex and avocados contain similar proteins. Allergy to bananas, kiwi, papaya and chestnut is also linked to avocado allergy. If you're sensitive to this fruit, even small amounts may cause itching or swelling of the mouth area and throat, warn experts from The Children's Hospital of Philadelphia. 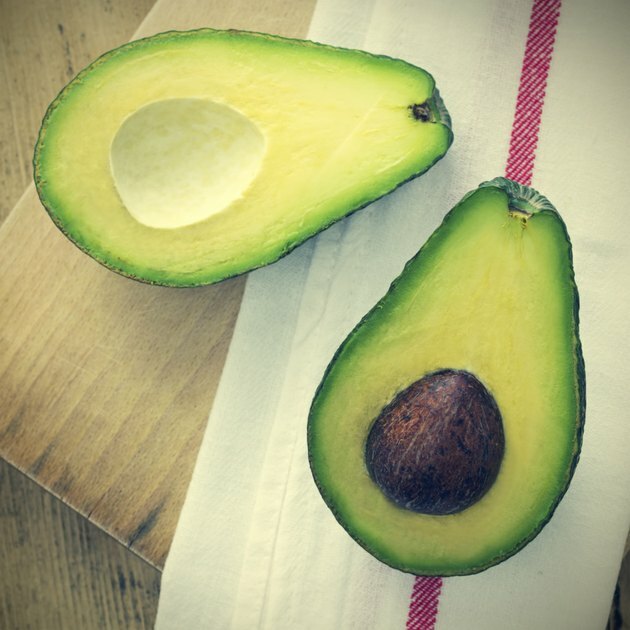 Columbia University: Go Ask Alice: Avocados Are Fatty -- Are They Healthy?